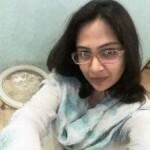 Following recent events, Sabeen Mahmud murder and the Ismaili bus attack cases, a lot of aspects regarding the perceived idea of ‘terrorism’ have come under question. The ‘psychology’ of terrorism has now become open for debate. Earlier myths surrounding terrorism – such as certain madrassas being ‘terrorist’ nurseries and poverty being a fuel for terrorism – now appear to be hilariously absurd over simplification of facts. Extremism that leads to ‘terrorism’ is a solemn and common phenomenon – more than many of us can imagine. Such confusion emerges due to the elusiveness of terrorism. Terrorism is hard to define and so is a ‘terrorist’. One widely accepted definition explains a terrorist as a non-state actor that relies on violence in order to further his political or religious agenda. However, violence is not the only trait terrorists around the world share. Below is a list of attributes that I have found to be common in most extremist groups that eventually lead to terrorism. 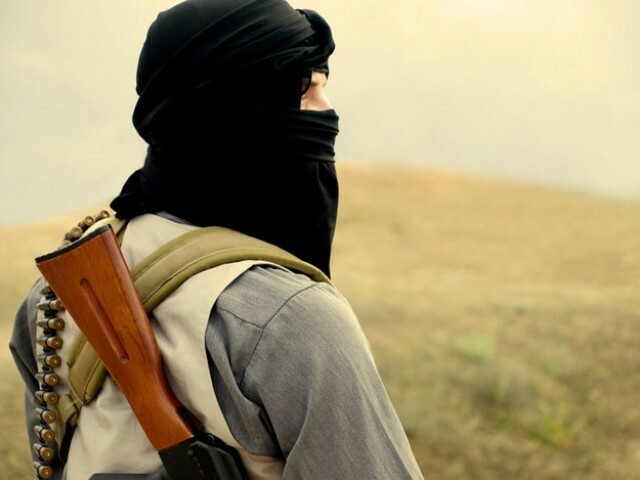 An extremist who plans or executes ‘terrorist’ activities is driven by a sense of purpose. He has an enlarged self-view as a chosen one, an indispensable peg over whom the “divine plan” rests. Psychologists believe this has to do with an identity crisis among individuals that enhances during adolescence. Foreign jihadis attracted to IS have this sense of calling and youth in common. Terrorists often submit themselves blindly to a larger-than-life personality. It could be a deity, mentor or simply ‘divine’ commandments against which individuals lack ability to dissuade. Logical thinking is alien to them and they pathetically lack ability to critically interpret issues. For extremists, diversity seldom exists. Humans are either good or bad. They remain fixated with black and white, pathetically missing out all shades of grey in between. They jump on sweeping generalisations and interpret issues as right or wrong – overlooking neutral ground. They have strong scientific minds where two-plus-two could not be anything save four. Extremists interpret every socio-political conflict into cosmic terms. They are strong believers in the cosmic nature of things, as if in each conflict good and evil are at war. This cosmic worldview extends into individual associations with the likeminded groups causing divisions on the basis of people they belong or don’t want to belong to. This division between in-groups and out-groups matures into the ‘us versus them’ mentality. Further prejudices and insularity rouse suspicions and differences between the two groups. They generally develop a degenerated view of the opponent. Others appear to be wanderers from the right path, degraded and lesser humans who possess no right to live. Extremists fuel their wrath with real or false sense of victimisation which in effect results in terrorism. It matters less if the victimisation was personal or group-based, real or false; their sense of victimhood charges their fury. Last, extremists resort to violence as a pacifier or a tool of conflict resolution. A common denominator among extremists is their exposure to violence – be it an abusive parent or other family members, a society where violence is acceptable. It could also be state torture or damages by non-state actors or wars. Our radicalised society has many such traits present. That is why extremists and their apologists incubate so frequently. For a successful ‘anti-terrorism’ strategy one ought to address all these phenomena present in the society today, especially extremism in any form. Self-analysis is crucial. One needs to also look around friends and family for alarming signals. Heightened religiosity and growing isolation too are important indicators that should never be ignored. Irrespective of how things work out with the individuals who are being dubbed as perpetrators, one thing is for certain – the terrorism dynamic is changing vehemently and we need to stay in-touch with its development, if we plan to truly end it. DAESH’s ideology has changed how we look at terrorism in the region today. It is a common misconception that kids from poor homes who are madrasa educated are most likely to be manipulated into joining the ranks of terrorists. Lately we have seen Muslim youth from all over the world aspiring to travel to Syria to join the so-called caliphate. Just a few weeks ago we saw college educated young men caught who had been involved in multiple brutal killings in Karachi. These young people are DAESH inspired. DAESH had been recruiting on multiple on-line forums and propagating their ideologies online which, we can be sure, are not for poor uneducated youth but for the more affluent ones who have access to computers and the internet. DAESH. We have been fighting this battle for decades in the remote mountains of the region. DAESH has changed the dynamics of this war. Now we have to fight it in our homes and on our internet -connected devices. Each and every one of us have to take responsibility, especially if we are parents and protect our children in being manipulated and misled by a bunch of lunatics who are bent on making this planet a living hell. The main aim of a terrorist is to challenge a govt or authority by creating terror attacks and weakening the morale of the opposite group….